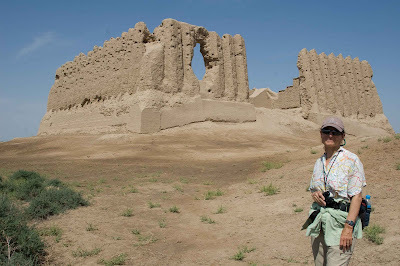 Since their last update from western China, David and Janet Carle have traveled to Turkmenistan’s capital city, Ashgabat—halfway around the world from their home in Mono Lake, California. Read on to hear more about their cultural adventures along Turkmenistan’s extensive canal system, and follow the links to their blog, Parallel Universe 38° North: The Water Line. The Carles’ book The 38th Parallel: A Water Line Around the World will be published by UC Press in Fall 2012. Half-way around the world from home, the GPS told us we had reached the 61°East longitude in Turkmenistan. 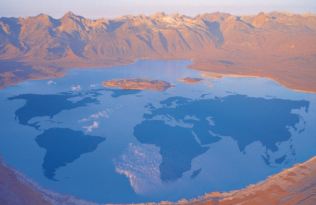 The 38° latitude line intersects in Mono Lake with the 119°West longitude: 61 + 119 = 180° around the globe! Local clocks are 12 hours different from California (as bad a jet-lag problem as there can be, we would learn; after Turkmenistan we were homeward bound).